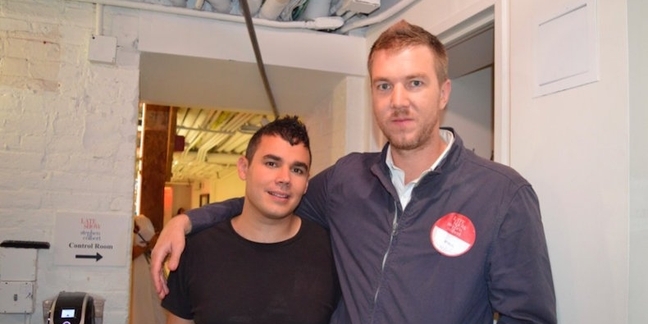 Hamilton Leithauser (The Walkmen) and Rostam Batmanglij (Vampire Weekend) will next week release their debut collaborative album I Had A Dream That You Were Mine. Last night they made their debut on The Late Show With Stephen Colbert and performed an infused version of their song A 1000 Times (which we first exposed HERE). Watch below as Leithauser lights up the stage with his singular vocals that have enthralled since we first heard The Rat. Batmanglij also adds some tasteful piano and fuzzed-up guitar along the way. Check out the :30 mark where Leithauser first unleashes his flamethrowing ache. Worthwhile lyrics at bottom. We could watch this performance a thousand times! And all that I have is this old dream I must have had. This entry is filed under Music.